Neon sign on facade of regional mattress store MattressFirm, formerly Sleep Train, in downtown Berkeley, California, May 17, 2018. The largest U.S. mattress retailer, Mattress Firm, said Friday it has filed for Chapter 11 bankruptcy protection so it can take steps to strengthen its balance sheet and reshape its store footprint. Under bankruptcy protection, the retailer will close a number of its stores. It has already filed court motions for approval to reject up to 700 leases. It will begin to close roughly 200 stores in the next few days. It expects to complete prepackaged restructuring within the next 45 to 60 days, it said. It has secured roughly $250 million in so-called debtor-in-possession financing to support its operations under bankruptcy. It has also secured $525 million in senior secured credit facilities so support its emergence from bankruptcy and continuing operations. 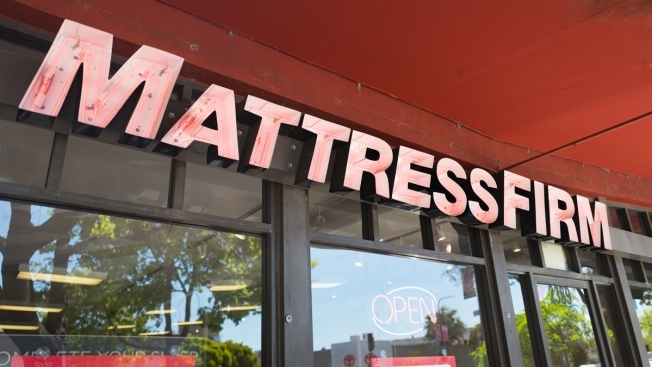 Mattress Firm says it has filed motions to support the continued payment of employee wages and health and welfare benefits, as well as honor its customer policies and programs. It said it is seeking court authorization to pay suppliers and contractors in full for all services provided before and after its bankruptcy filing. Shares of Tempur Sealy International jumped more than 5 percent on the news. The mattress company unexpectedly pulled its products from Mattress Firm in 2017 over disputes about pricing. Mattress Firm was acquired by South African retailer Steinhoff International Holdings for $3.8 billion in 2016. The conglomerate, which owns more than 40 retail brands including Conforama in France, Poundland in the U.K., has been embroiled in an accounting scandal that has crushed its stock price and created liquidity concerns. Its shares are down nearly 54 percent since January.